Alibaba has had a bad rep when it comes to the sale of counterfeits through its platforms, but says its fightback led to the seizure of half a billion dollars-worth of fakes last year. The Chinese e-commerce giant made the claim at the annual spring meeting of the Alibaba Anti-Counterfeiting Alliance (AACA) in Shanghai last week. In 2018, the criminal investigations led by the alliance’s member brands and Alibaba resulted in the arrest of 1,277 suspects and the shutdown of 524 manufacturing and distribution locations, which yielded counterfeit product seizures that totalled $536.2m. Alibaba also noted that 97 per cent of all takedown requests were processed in 24 hours during business days for AACA members, as a result of “extensive cooperation within the group”. That represents a similar haul to the prior year’s anti-counterfeit activities. In 2017, enforcement operations resulted in the arrest of 1,606 suspects, the closure of 1,328 facilities, and the seizure of $675m-worth of non-genuine goods. The AACA brings together 132 brand owners across 12 industry categories, including globally recognized names such as Louis Vuitton, Honda, Samsung and Mars. Michael Kors, Tommy Hilfiger, Fossil, Siemens, Dyson, Kohler, and Coach are among new brand owners to join the initiative in 2019. The brand owners are split into industry groups to help them work together on activities such as monitoring, product authentication, offline enforcement, civil litigation and communication with law enforcement. The interaction afforded by the AACA has helped the company to go from being a poster boy for counterfeit sales that resulted in its inclusion in the US Trade Representative (USTR) notorious markets list, to one that is striving to be at the forefront of the fight against the trade. Among the other big e-commerce players, Amazon has only just admitted its counterfeit problem publicly, ahead of the creation of its Project Zero takedown and brand partnership programme. 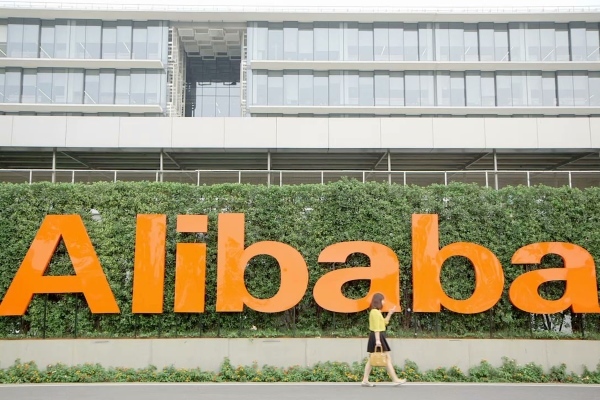 “Alibaba has grabbed the flag on IPR protection and is running with it,” says Rick Helfenbein, president and chief executive of the American Apparel & Footwear Association (AAFA), which has been among the company’s most vocal critics in the past. In recognition of that positive development, Matthew Bassiur, vice president and head of global IP enforcement at Alibaba, won the Innovator in IP Rights and Technology award at the Luxury Law Summit in London earlier this week. At the event, Fred Mostert, president of the Luxury Law Alliance, said Alibaba has significantly improved its standing within the international community, going from being criticised for its efforts in IP protection to being viewed as a leader and innovator in the field in just three years. Bassiur has shown “extraordinary leadership in IP protection on an international level and his many accomplishments throughout a distinguished career in both the government and private sectors,” according to Mostert.